MTM Physiotherapy Warwick is located directly across Wanneroo road for all of your Marangaroo Physiotherapy needs. MTM Physiotherapy is a trusted name for Physiotherapynorth of Perth where we have been practicing for over 20 years, our methods and management are well established as we routinely exceed client expectations. Our home at Warwick Stadium means we are well placed to provide immeadiate injury management which vastly improves outcomes of our clients. We have three Physiotherapist’s who work hours which will be suitable for you. All of our staff at Warwick are friendly and approachable and will ensure they go the extra mile for you so that you have the best Physiotherapy experience possible in Perth. 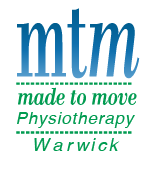 MTM Physiotherapy Warwick are proud to provide services to the players, parents and community of both Greenwood Netball club and the Stirling Senators whose catchment areas include Marangaroo. As well as our involvement local to Marangaroo we also provide Physiotherapy services to Warriors Netball, Doubleview Carine Cricket Club, WAIS and the WA Football commission. Our Physiotherapists have also had exposure to the Victorian Bushrangers Cricket team as well as the Illawara Hawks in the NBL. Yes we are located in a wonderful sporting facility however our expertise is not limited to sporting injuries. Our Physiotherapists daily treat clients with spinal pain, shoulder pain, foot pain, headaches, elbow problems and chronic pain. You do not need a Doctors referral to us however we also accept Motor Vehicle Accident, Workers compensation and Medicare funded EPC sessions, if you fit any of these criteria, we would love to work with your Doctor to ensure your management is perfect. With the uniqueness of our location your Physiotherapy experience will be like no other. We have access to a high performance and rehabilitation gym as well as the use of the court space at Warwick Stadium. This will ensure that your assessment can be as detailed and specific as possible to your presentation. Our treatment might include some massage, dry needling, mobilisations and exercise rehab in our gym. It will also include advice for self-management at home as well as some home exercises to ensure you maintain the gains made in treatment. Our Physiotherapists strive daily to become better and more equipped to help you on your way to achieving your goals. We are proud to always keep up to date with the current evidence relating to your presentation as well as participating in regular continuing education to improve both our hands on skills and your experience at MTM Physiotherapy Warwick. Whether you are in pain, have a question about anything movement related or want some advice or an exercise program then don’t be afraid to give us a call and speak to one of our friendly Physiotherapists today! If you’re down at Warwick Stadium or in the area and want some free advice we will ALWAYS be happy to help. In the meantime feel free to have a look around our website at some of the services we offer or the blogs we have written. We hope to hear from you soon.